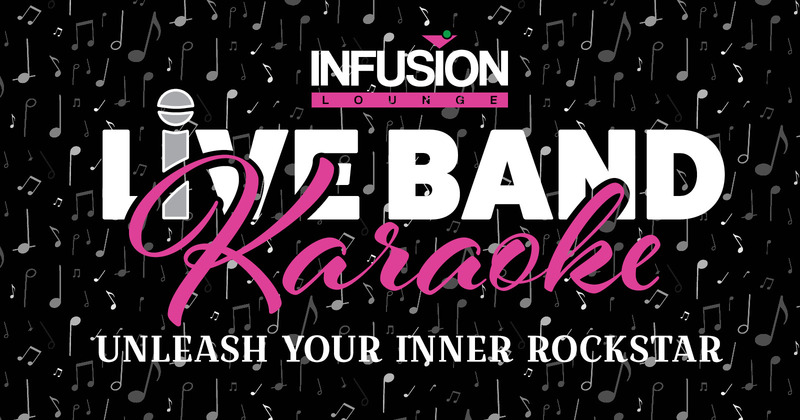 Experience Live Band Karaoke - Unleash Your Inner Rockstar! RSVP "Going" on Facebook for no cover charge at the door! So you think you can sing? Do you LOVE karaoke? How Does Live Band Karaoke Work? This does NOT go to the venue. The $5 is split between 3 musicians - guitarist, bassist, and drummer. There is an ATM is located in the back. Song cards can be purchased from the bartender. !!!! SPECIAL: BUY 4 SONG CARDS FOR $20 & GET YOUR 5TH SONG CARD FOR FREE !!!! See the band’s recommended song list for details! You can also select other popular songs you think the band may know. Remember, musicians are human, not robots. We are working on becoming better human jukeboxes but it's impossible to know every song in the world. Include your first choice, and two back-up choices. The song coordinator will review it with the band and confirm which one they can rock out with you! Support local musicians doing their thing! If you love the band, show them they’re appreciated! Tipping is encouraged. Don’t drop the mic! The equipment & instruments are what the musicians need for a successful night - please respect the musicians & venue’s equipment. Click here for the list of recommended songs from the band. RSVP "Going" on Facebook for no cover charge! 1st Tue of Every Month - Unleash your inner rockstar!